Is your hot water tank ready to be replaced? We will replace your tank quickly, cleanly, and professionally with an Energy Star compliant hot water tank and we take the old tank away. No need to worry about running out of hot water with an on-demand hot water heater. 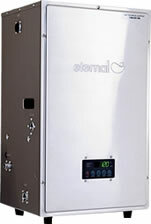 Tankless water heaters can use far less space and are energy efficient. Replacing your furnace with a high efficiency 97% AFUE furnace will save you money and bring a new level of comfort into your home. The best of both worlds. Instant on-demand hot water with a built in storage tank. 98% efficient so you are sure to lower your monthly energy costs. We unclog kitchen sinks and garberators, bathroom sinks, tub and shower drains, floor drains, etc. We easily clean out the most stubborn clogged drains. 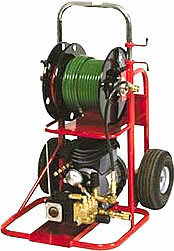 High pressure water jet drain cleaning clears out bad situations like grease or sand filled drains with ease. Does your drain problem keep coming back? Hydro jetting can solve the issue.